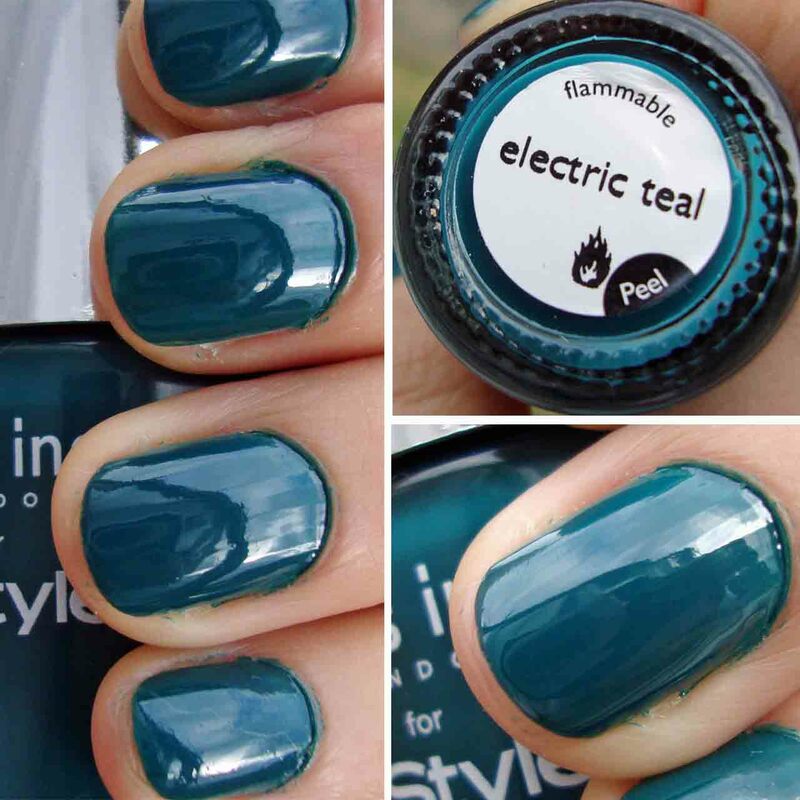 B U B B L E G A R M: Electric Teal.. This shade is a stunner! I need to get myself one :) I love teal nails. this color looks great on you!! I recently bought a lot of different shades. I'm very white, so I want to find the perfect darker colors for me. Thanks for the inspiration!! Ohh my god such a pretty color dear. hey 1 Q. as i'm new 2 d whole beauty thing culd u tell whn d nail polishes gt beynd ur nails & dey dry how do u clean it & make it luk so perfect. By d way its my 1st cmmnt on ur blog of u rply. I adore u so mch. If u hv any indian frnd of urs ask her who's Madhuri Dixit u luk lyk her so pretty. Oh this looks lovely! i am a fan of nails inc polishes! I got this too, infact I bought InStyle 3 times just to get the other colours. Defo my favourite tho! Wow! Amazing shade! I love it! This teal is really vibrant and shiny! There's nothing better than a great nail polish. Especially when its free! i just painted my nails with the nails inc electric teal too. its so nice. Ooh love this color! Even though its on the dark side ... its def a fav! I'm 16 weeks pregnant. Coincidentally I stopped using nail polishes couples of weeks before getting pregnant. Just suddenly at that moment I realised that I'd better stop. But, oh my, how I wish to play with the colour now, especially considering that I have a HUGE collection of nail polish. I guess it might sound stupid, but I'm doubtful about the safety of the nail polish (and especially Seche Vite) during the pregnancy. There are numerous contradicting opinions in the press, don't know what to think. :/ Nurse told me that it probably is fine to paint nails once in two weeks, but I'm still afraid and in panic. Surely, I know that we should paint in a fresh air (ideally), use 3 Big free polishes and nail polish remover without acetone. :) How do you deal with this? Thank you! Electric teal's the only colour I ever use now! I love it that much!!! !